Do you like the cookie or chocolate part of a Twix bar? Just answer that simple question and you are entered to win $100,000! 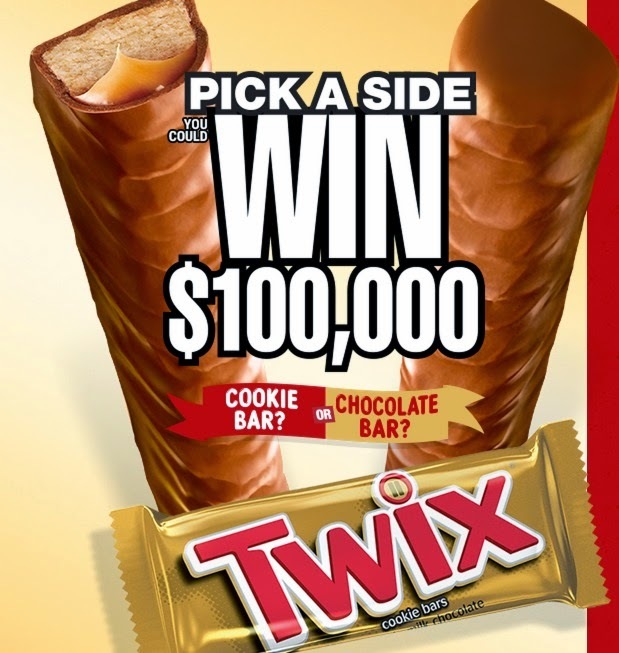 And 100,000 winners will also receive a free coupon for some Twix or another 400,00 will win a free mp3 download. There are so many winners in this one that you're allowed to win an instant prize up to 5 times. Just click on the picture below to enter for your chance to win and come back everyday through 12/31 to enter! Like Instant Win Games? Check out our FULL listing HERE! !